The continuous flow of charged particles from the sun that permeates the solar system. A Stream of Charged Particles is one of seven paintings still available in my shop this month. Your Most Memorable Visual Art Experience? What’s been your most memorable visual art experience? That was my break-the-ice question for panelists at a 2014 talk about art and tech that focused on collecting. The stories people told had a tender quality that reminded me of the stories people tell about falling in love, stories about possibility where the object is a catalyst for longing, awe or memory. Here are a few excerpts from that conversation, lightly edited for readability. I grew up in a family where both my parents were artists. During the summer our entertainment was going to art fairs, putting everything in the old Ford station wagon and driving all over. I remember seeing a piece by an artist in La Crosse, Wisconsin named Dan Devitt. It was a scenery, sort of brushy/grassy, with graphite, collage and mixed media. I remember staring at it, looking at it for the longest time, and letting my mom know that I really loved it. I begged her for this piece of art, like “please, I want this piece.” (She actually ended up trading for it.) I think that started my imagination in a way, you know, of being in my own space, of looking at art, and falling in love with something, and having this longing for space. I, too, got taken around as a child. I grew up in Chicago (and there’s great art in Chicago). We’d go to the ballet, and we’d go to museums, and we’d go to the Old Town for art fairs. My mom would buy art and she’d have this little verbal affair with the artist about what it is, and what motivated them, and that was very exciting. My number one, most memorable experience viewing a piece of art was going to the Musée d’Orsay and seeing Manet’s “Olympia.” Seeing that piece was a memorable experience because it silenced my mind. I’ve been viewing art every day since I was 18 years old. It takes a lot to experience that when you’re completely saturated with art all the time. 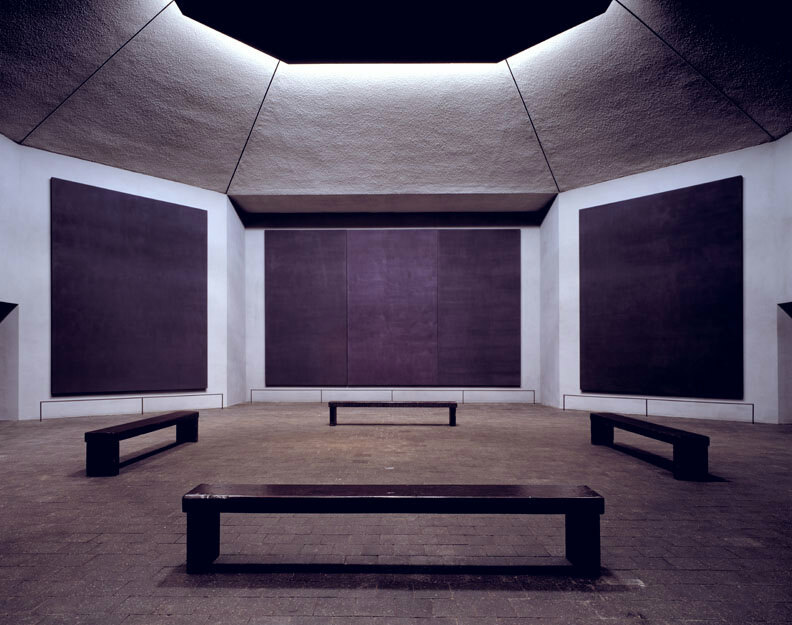 My memorable experience with a piece of visual art was going into the Rothko Chapel and seeing those murals. When you have a busy life, and lots of focus, and your mind is always collecting data, it’s unique to have an experience where the environment quiets your mind, when the art is truly integrated into a place so it captures your attention and you think of nothing else. My first actual piece that I bought was in an antique store. My father lived in the Bahamas and I was in an antique store with my sister when I was like 17, and this etching just caught me. It wasn’t on the wall. It was in a bin with lots of other stuff and the amount of lines that were in the print just caught my attention. Their energy had a relationship to a festival called Junkanoo. And the lines actually gave me a sense of experiencing the noise of the parade and the amount of work that would go into the costumes. You just connect to something and it’s about your family or your story. For me, there’s an intimacy that’s about me. Not everything that I love is going to be great for you if you don’t know its story. I think that’s very special about art. Have a memorable visual art story to share? Please do in the comments below. I’ve grown to love the word ‘ambivalent.’ When I was a kid I thought it meant wishy-washy and didn’t like it at all because it sounded feeble. I had to experience it repeatedly for myself, the uneasy push-pull that happens when you’re drawn to something and put off by it at the same time, before I started to get it. For creative people, ambivalence is fuel. Attraction draws you to a subject and then whatever’s repellant about it spikes your curiosity, keeping you engaged because you want to understand. Artist Marilyn Minter’s retrospective, Pretty/Dirty, up at the Denver Museum of Contemporary Art through January 31st, stirs ambivalence. Her photographs, paintings and videos depict a raunchy, feminine sensuality that titillates and repels. Check out the Green Pink Caviar trailer below to see what I mean. Here’s another video, a talk Minter gave at the School of Visual Arts in New York in 2014. She does a great job here telling the story of her art, connecting photographs she made as an undergrad of her beautiful but addicted mom to her current work. She also talks about her struggle to find her voice as a painter while vying for success in the New York art world, two big aims that didn’t always mesh. I’m ambivalent about blogging. I love language and think writing is interesting but also find it confining. If you can put a complex thought in words it means you’ve pinned it down. Take that same thought, make a series of images about it, and you’ve probably opened something up. Look at Minter’s work. Her epic paintings offer liquid drips, edible gold and glitter-flecked, freckled skin. They are gorgeous, a pleasure to view. They’re also political, raising questions about feminine presentation, sexual agency and power. If you get Minter’s work, you get it viscerally. It raises shame and erases it. I’m not sure you can do that in words. Each time I redo my website is an opportunity to reconsider this blog. Keep it or let it go. I’m keeping it, enthusiastically this time because I’m ambivalent. So for the second time in ten years I’ve cleared the deck, deleting all my old posts except for a few reported posts about beeswax. It’s my goal to post weekly, words and/or images. This’ll be a lab of sorts. I’ll be adding new categories and trying different things. Stop by on Mondays to see what’s new. A bowl full of vines and spheres. Yay! A project I thought would take a month (but that actually took over two) is finally done. Welcome to my new website and online shop. Big thanks to Andy Schwarz at amstec for his work (and patience!) on the design and technical end. Need help visualizing a new version of your own site? Check out this Web Design Sketchbook. I used the free version and found it clarifying. What is pharmaceutical grade beeswax? Is it a good idea to wear gloves when handing beeswax in the studio? Or is that overkill? When I wrote about this in 2012 I was concerned about chronic exposure to pesticide residues and thought the answer might be yes even for pharmaceutical grade beeswax. More info needed, so I did some digging. Here is what I found. How does the U.S. Pharmacopeia define pharmaceutical grade beeswax? The U.S. Pharmacopeia defines beeswax/Yellow Wax as the purified wax from the honeycomb of the bee that conforms to the Saponification Cloud Test. White Wax is the product of bleaching and purifying Yellow Wax and also must conform to the Saponification Cloud Test. Both definitions “have been around since the mid 1930’s and it appears they have not changed much,” according to Robert H. Lafaver, M.S., Technical Services Manager at the U.S. Pharmacopeia. To understand whether or not agricultural pesticides can be present in pharmaceutical grade wax you need to understand what purified means. When I asked Lafaver how the Pharmacopeia defines purified he explained that purification processes for pharmaceuticals fall under the Food and Drug Administration’s (FDA’s) authority and that some of these processes may be “patented and/or priority information.” He also suggested that I would “need to talk to manufacturers of wax to see how they purify it.” When I reached out to the FDA’s Office of Media Affairs for more info I received an acknowledgment of my question but no meaningful information. “I have not found out anything and will keep researching this,” said my contact there. Does the Saponifaction Cloud Test detect pesticide residues? The Saponification Cloud Test is one of five Specific Tests for beeswax listed in the U.S. Pharmacopeia. These tests are performed to ensure that pharmaceutical grade wax hasn’t been adulterated with other substances like microcrystalline or paraffin. These tests do not detect pesticide residues. How do you know if the pharmaceutical beeswax you bought online is indeed pharmaceutical grade? • “All foundation beeswax pressed into sheets and used as templates for comb construction sampled from North America is uniformly contaminated,” according to Pesticides and Honey bee toxicity, a scientific paper published in 2010. • Wax producers use a range of methods to filter impurities from white and yellow pharmaceutical grade wax. These methods aren’t clearly explained by the FDA and may not (probably don’t) filter pesticide residues which can bond with wax at the molecular level. • Pharmaceutical grade beeswax isn’t tested for pesticide residues. • Wax sold as pharmaceutical isn’t tested for adulteration at the retail level (it gets tested at the level of the pharmaceutical producer) so it’s possible to purchase adulterated “pharmaceutical grade beeswax” from less watchful retail art and craft suppliers. • I recommend purchasing beeswax only from reputable sellers and if you do ever receive a suspect batch, send it back. • The main risk to artists who handle beeswax on a daily basis is chronic exposure to the stuff artists add to the wax (pigments and such) and not agricultural pesticides which can be present in small amounts. But if you are handling beeswax daily over periods of months or years you need to know that agricultural compounds, including organophosphates, are part of the mix. Pharmaceutical grade beeswax as defined by the United States Pharmacopeia and The National Formulary (USP-NF). I scanned & trimmed pages 2277 and 2278 so the info about white and yellow beeswax fit on a single page. Beeswax and breasts: do you know what’s in yours? Here are some test pieces I made to show the effects you can get using a variety of photo transfer and embedding techniques with encaustic. The roughed-up/tattered-edge look in the image below is characteristic of photos transferred onto an encaustic surface from office paper. They can have a vintage charm. You can get a range of effects from crisp to ghostly by transferring images from baker’s parchment. A quick and simple way to incorporate small chunks of photography into your encaustic work is to print your images on rice paper and embed them. Since bubbles can be an issue (they get trapped under larger pieces of paper) this is a technique best suited to those who enjoy working with discrete pieces of imagery as opposed to whole sheets. Photos printed directly on an absorbent fine art paper like Stonehenge and mounted on a rigid panel can integrate beautifully with encaustic. The drawback to this technique is that it positions the photograph on the bottom layer of the artwork whereas transfers can happen on any layer. The price of beeswax, up or down? You’ve heard the news. Honeybees are in decline. Yet the price of beeswax has remained relatively stable these last few years. Is there a secret behind the stability? How long will artists who work with beeswax continue to enjoy feel-good prices on their materials? Beekeepers harvest beeswax from two different areas of the hive. There’s cappings wax that’s culled as part of the honey harvest. And brood comb that beekeepers pull and recycle on a rotating basis from deeper in the hive. While cappings wax is sensitive to fluctuations in the honey harvest, brood comb becomes more available as bees die off and beekeepers reduce the numbers of colonies in their apiaries. So a bad honey year or a high mortality year doesn’t necessarily mean we’re in for a bad wax year, at least not immediately, although enough bad years in a row will disrupt supply. So what’s the beeswax forecast for 2013? I was at a talk in Denver last Saturday presented by USDA bee researcher Jeff Pettis, and while the numbers are still coming in, it’s his hunch that the winter of 2012 – 2013 will go down as the most devastating year to date for bee mortality with some commercial beekeepers reporting losses of 75% or higher. The official numbers will look better than that once they’re in due to how beehives are counted. Regardless of counting methods, this has been a tough winter for the bees. Interestingly, according to the USDA’s National Honey Report, many beeswax sellers are holding steady on their prices even though stock is low. Current wholesale prices quoted exclusively for white, cleaned beeswax are steady and for 1lb block units at $5.50 to $5.75 mostly $5.50 and for 50lb block units at $4.50 to $5.00 mostly $4.75. Price quotes taken for bulk orders above 50lbs are $2.20 to $3.50 mostly $3.50 for white/light, cleaned beeswax. Retail white and cleaned beeswax prices reported are $16.00 to $20.00 per pound mostly $18.00. Many beeswax sellers have held their prices however, are showing very low supply inventories. In other words: Stock up. Molecules get into our bodies through a number of different paths: through food, through water, through just touching substances, and also we breathe them in. It turns out our breasts are almost like sponges the way they can soak up some of these chemicals especially the ones that are fat-loving. What have researchers found in beeswax? A mix of fungicides, herbicides, miticides, insect growth regulators and pesticides including neonicotinoids and organophosphates. How do pesticides get into beeswax? • Honeybees introduce pesticides to their colonies when they bring loads of contaminated pollen and nectar back home for processing, consumption and storage in wax comb cells. While all the contamination methods listed above concern me as a beekeeper, it’s the uniform contamination of wax foundation that most concerns me as an artist. If all beeswax foundation is “uniformly contaminated” then it means all beeswax processed in the same way – gathered from multiple sources, melted and filtered – is similarly contaminated. I work with wax. What can I do to minimize my exposure? • Wear protective gloves. It’s been my habit to wear latex gloves only when handling messy paintings and pigment sticks but not when handling encaustic medium. I am reevaluating. Can’t I just buy organic wax? Short answer: No. The USDA doesn’t certify bee products. As of today there’s no such thing as federally certified organic beeswax in the United States. Longer answer: It’s complicated. If you’d like to know more about organic beeswax and the methods and terminology U.S. beekeepers are using to work around it, let me know in the comments. What about pharmaceutical grade beeswax? Again: It’s complicated. Pharmaceutical grade doesn’t necessarily mean pesticide free. Some pharmaceutical grade waxes are highly filtered. Others, less so. Regardless of the type and grade of wax you’re using, the safety advice remains the same. Ventilate. If you’re not ventilating, think of the information here as a reason to re-think your practices. If your ventilation is good, excellent! Let’s talk about gloves. Artists, do you use gloves when you handle beeswax in your studio? Why or why not? Just What’s Inside Those Breasts?